​The Counseling Center has entered its third year of successful collaboration with the Northeast Ohio Medical University’s (NEOMED) Best Practices in Schizophrenia Treatment (BeST) Center. The collaboration involves intensive and on-going training of therapists, case managers, and certified nurse practitioners in the Cognitive Behavioral Therapy for psychosis (CBT-p) model, which is an evidence-based approach to treating individuals with schizophrenia. The model emphasizes strategies to help individuals adapt to and manage symptoms beyond the use of medications only. 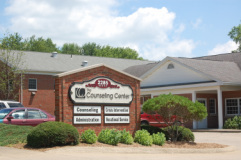 The BeST Center has trained seven therapists, twelve case managers, and two nurse practitioners at the Counseling Center to date. The Counseling Center administration is committed to continuing the program and the CBT-p Team is planning an updated live training with the NE-OMED faculty on the specifics of obtaining and integrating meaningful outcome measures for CBT-p in March of 2019.